It’s a long trek from Switzerland to Wellington, so Martin Fuchs had his eyes set on getting the job done. 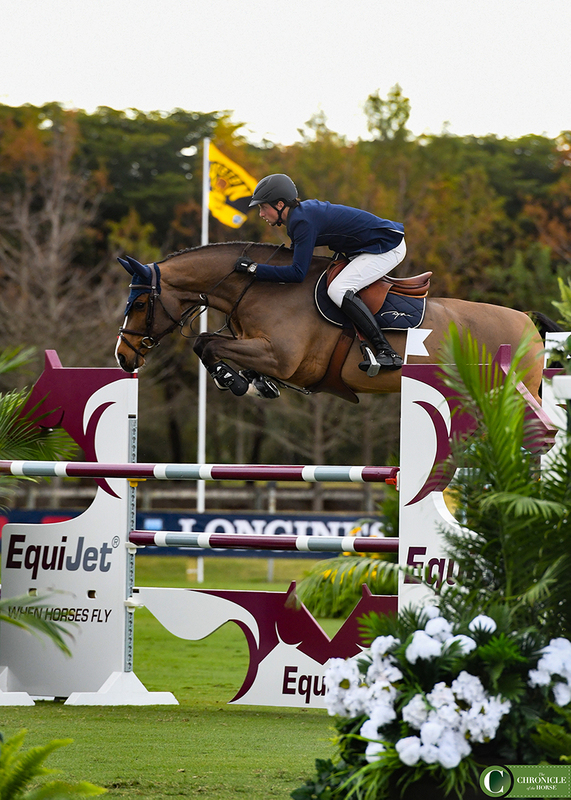 Typically the 26-year-old contests the indoor winter circuit in Europe, but this year he crossed the Atlantic for the season in preparation for the Longines FEI World Cup Final in Sweden in April. 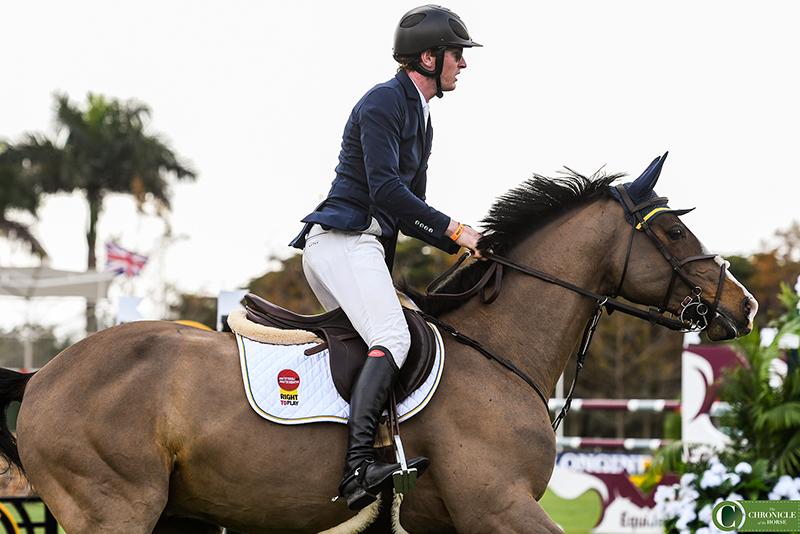 But in the opening Fédération Equestre Internationale class at the CP Palm Beach Masters, the $35,700 CP Welcome Stake, Fuchs nearly made a costly mistake. With his error realized in the nick of time, Fuchs was able to change tactics with Cristo, a 12-year-old Oldenburg gelding (Cristo—Stakkata Gold, Stakkato). Ireland’s Daniel Coyle and Quintin finished second. Cristo’s time of 71.37 seconds, slotted a full second ahead of Coyle and his 9-year-old Dutch Warmblood Quintin (72.34 seconds), to take top honors over the field of 67 that contested Alan Wade’s course. 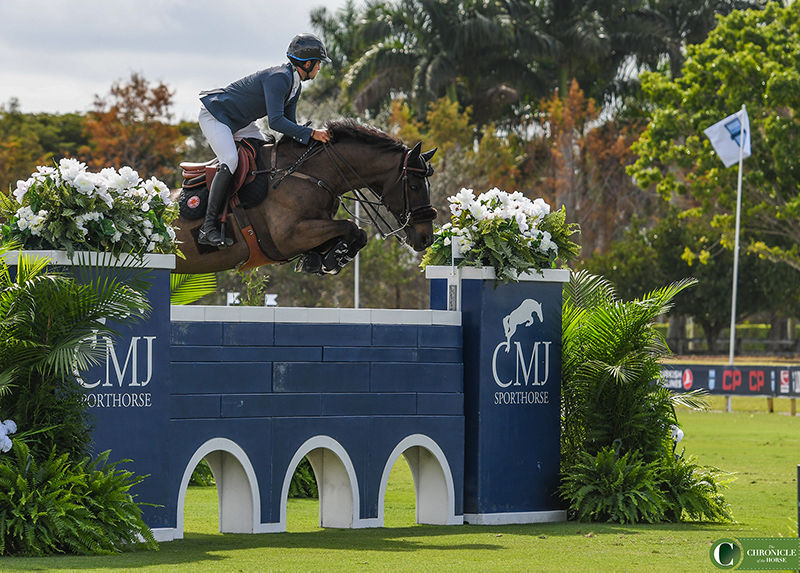 Coyle finished second, while Israel’s Daniel Bluman and the 10-year-old Dutch Warmblood gelding Entano closed out the top three with a time of 72.80 seconds. Daniel Bluman and Entano took third.